The recently intensifying memory conflict around the interpretation of some Second World War events between Ukraine and Poland is distracting the two intertwined nations from their main international challenges today. The partnership between Kyiv and Warsaw should have significantly strengthened after Ukraine’s successful Revolution of Dignity four years ago. Yet, in some fields of co-operation and in the political atmosphere between the two nations, the opposite has been taking place. Partly, these negative trends are due to the Kremlin’s well-known mass propaganda and political manipulation campaigns designed to sow discord between and within nations across the western world. 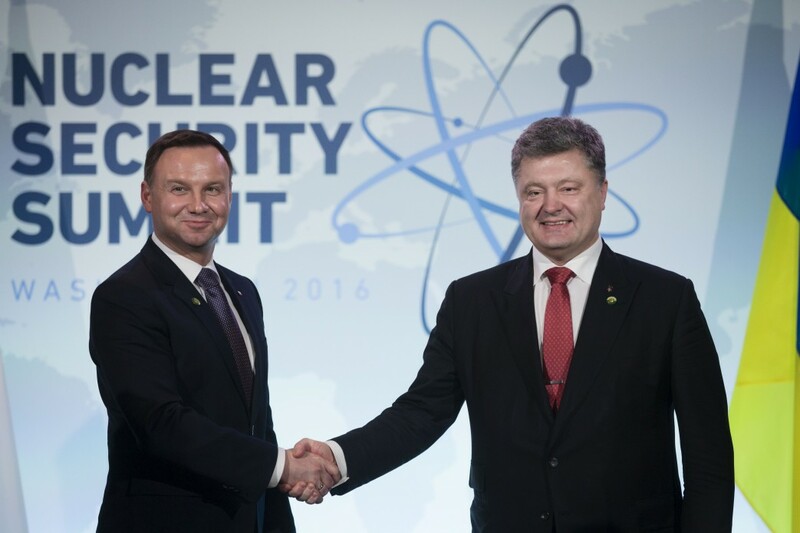 Yet, at the end of the day, the core problem between Warsaw and Kyiv is bilateral and not trilateral. 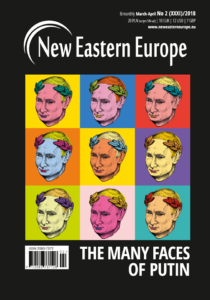 Even without Moscow’s continuous pouring of fuel into the fire, the notable shift in Ukrainian official historic memory policies that has happened since 2006 and especially since 2014, on the national governmental level, would have elicited negative Polish reactions. Today, Ukraine’s Institute of National Remembrance attached to the Cabinet of Ministers and other Ukrainian state institutions are unqualifiedly heroising some leading representatives of the two organizations – the Organisation of Ukrainian Nationalists (OUN-B) and the Ukrainian Insurgent Army (UPA) – who are considered to bear the brunt of responsibility for Ukrainian mass killings of Poles during the Second World War. Stepan Bandera (1909-1959) and his radical wing of the Organisation of Ukrainian Nationalists (OUN-B) dominated UPA which had emerged in late 1942. 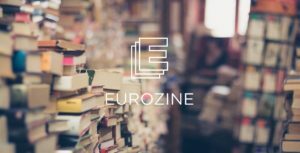 The two organisations are considered, in mainstream public discourse in Ukraine today, as major, if not the main, protagonists of the 20th century Ukrainian struggle for independence. They are officially remembered as selfless partisans fighting for national emancipation, and as heroic victims in Ukraine’s tragic fight against Stalinism – which most of the UPA soldiers indeed were. However, in the late 1930s and early 1940s, the OUN-B also provided Ukraine’s major anti-Soviet resistance movement with an ultra-nationalist ideology, partly, inspired by European fascism. This radically ethnocentric worldview motivated a number of UPA soldiers in Volhynia and Eastern Galicia in 1943-1944 to conduct a bloody ethnic cleansing of around 90,000 Poles as well as of a few thousand Jews who had survived the German antisemitic extermination campaign of 1941-1942. The leaders and members of the wartime OUN-UPA are today promoted – by various Ukrainian state institutions, major political commentators and certain civil society organisations – as impeccable “fighters for liberation”. Recalling practices of selective national remembrance in other countries, some Ukrainians today tend to ignore, relativise or downplay Ukraine’s wartime radical ideas, terrorist methods and murderous practices. Ukrainians who consider themselves “nationally aware” instead emphasise the exceptional courage, uncompromising patriotism and sad fate of the majority of UPA’s soldiers and their extraordinary anti-Moscow insurgency – a narrative that is not untrue, but choosy. Recently, Ukraine’s way of commemoration of its “national liberation movement” has, moreover, become heavily informed by Moscow’s ongoing hybrid, but ruthless war against Ukraine since 2014. For instance, in 1959, Bandera was killed by a KGB agent in Munich. Today a former KGB agent in the Kremlin is trying to destroy the Ukrainian state – and Putin’s regime has already killed many Ukrainians in the Donbas region. 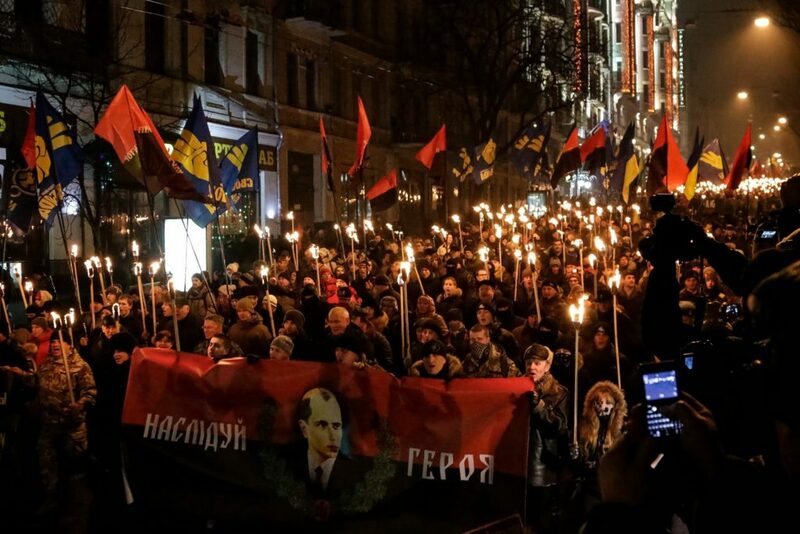 Similarities such as these are the simple, but powerful connections that many Ukrainians make between the OUN’s historic fight and their own against Russian imperialism. To many Poles (as well as numerous Russian-speaking Ukrainians), however, this is nevertheless an untenable state of affairs. 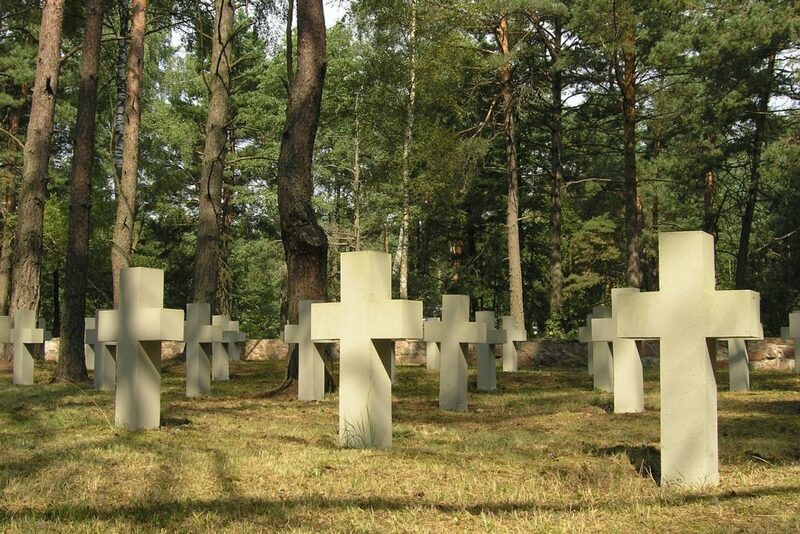 As the number of Poland’s OUN-UPA victims significantly exceeds the number of Ukrainians killed by Poles in the same period, there is little willingness among Polish officials and intellectuals to respect Kyiv’s claim for historical sovereignty. 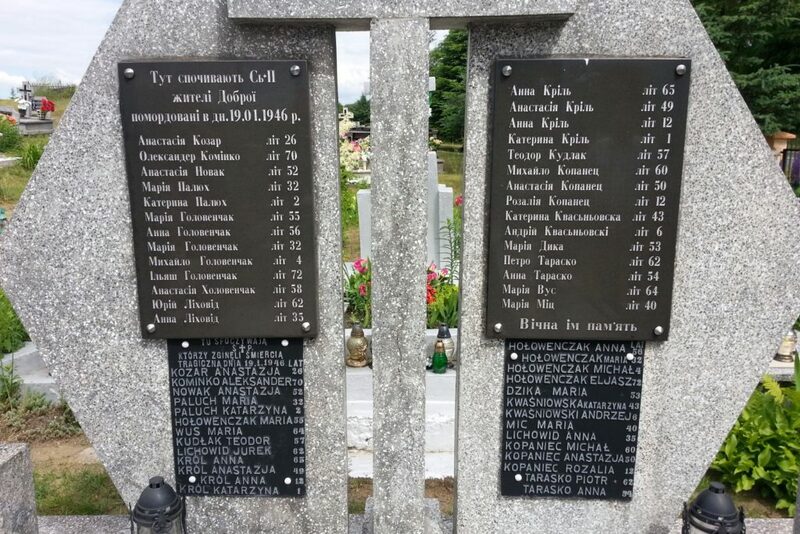 The tens of thousands of killed Polish civilians in Volhynia and Galicia are not exclusively a matter of Ukraine’s history – as many Ukrainian politicians and intellectuals argue. Not only the massacre of the Poles itself, but also its ideologists, instigators, perpetrators and justifiers are matters for Polish, and not only Ukrainian, history. A somewhat similar argument applies to Ukrainian antisemitism and its integral role for Jewish or Israeli and not only for Ukrainian national history. As Ukrainian commentators are eager to point out, there were also Polish crimes against Ukrainian civilians, before and after the Volhynia massacre. Such whataboutism, however, cannot diminish the significance of the UPA’s large killing of Polish civilians. The mass murder of civilians can also not be simply done away with by asserting the existence of a protracted Polish-Ukrainian war – an increasingly popular Ukrainian narrative about the first half of the 20th century. The matter of contention is, after all, not the soldiers who fell in clashes between armed Polish and Ukrainian troops, but the tens of thousands of victims of attacks on unarmed or only lightly armed people most of whom were peasants. On the other side, however, the instances of actions of Poles against Ukrainians to which the apologists of the Volhynian massacre refer are often real, not trivial, and numerous. Some Polish measures against Ukrainians too could be seen as akin to ethnic cleansing. 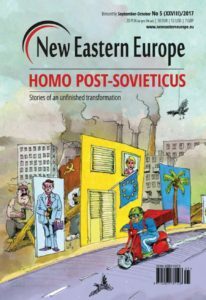 This concerns both Polish interwar and wartime policies of forced assimilation and summary murder of Ukrainians as well as Polish post-war policies of Ukrainian population movement and expulsion. Not only Kyiv but Warsaw too is insufficiently active in adapting its official memory policies so as to adequately commemorate Polish anti-Ukrainian crimes and publicly name the perpetrators. Warsaw could be today, on a smaller scale, accused of those same omissions that many Poles detect in current Ukrainian behaviour. Poland and many other countries too often view their national histories selectively. Without a doubt, the famous Polish independence fighters known as the “Cursed Soldiers” (Żołnierze wyklęci) of 1944-1963, for instance, were fighting a highly tragic and often heroic battle. 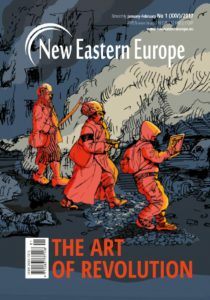 Partially reminiscent of UPA’s past, this Polish history of resistance has, however, also some “dark pages” which are only reluctantly co-remembered by many nationally-engaged commentators in Poland. The heated Polish discussion around the Jedwabne massacre of July 1941 should illustrate to Poles why it is so difficult for many Ukrainians today to modify their traditional view of themselves as exclusively innocent victims of Stalinism as well as Nazism. While the German fascist regime’s genocidal policies stand out by their horrendousness, many nations around the world temporarily also included organised perpetrators of mass crimes following a perverted idea of the national good. 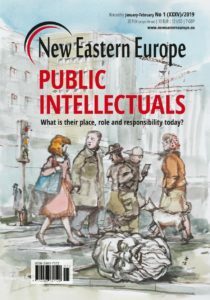 The current trends in official Ukrainian memory policy are difficult to accept for many Poles, but they are not unusual for young nation-states like Ukraine with, moreover, gravely underdeveloped academia (as demonstrated by the low places or absence of Ukrainian universities in international rankings of higher education institutions). 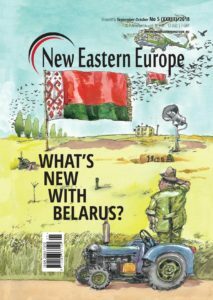 One hopes that today’s aberrations in Ukraine’s memory affairs are thus only temporary teething troubles in the building of an extremely troubled nation that, unlike the Poles, has only recently achieved real independence – for the first time in modern history. Ukraine is still under existential threat from Vladimir Putin’s Russia. 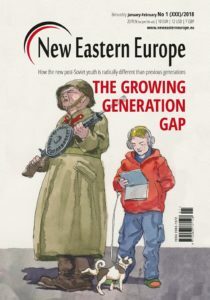 In a worst-case scenario, the collapse of the Ukrainian national economy and public administration – as a result of the continuing Russian hybrid war or even further military advances into Ukraine – would destabilise the whole of Eastern Europe with not only catastrophic consequences for the Ukrainian people. 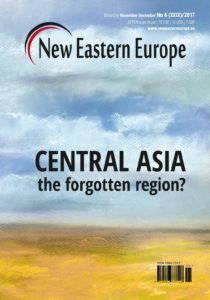 The repercussions of such an apocalyptic, yet entirely possible development, would also touch upon the core national interests of Ukraine’s immediate neighbours – above all of Poland. 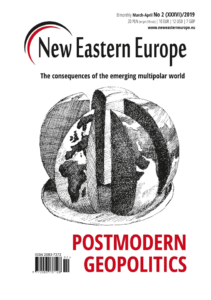 The most prominent project with which Warsaw can today help to prevent such a scenario is a revival of the interwar Polish concept of a Międzymorze or Intermarium (land between the seas). 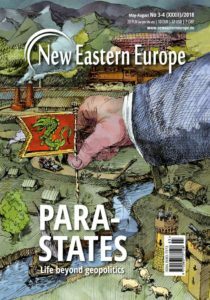 The historic Intermarium’s purpose was to form a coalition of the countries between the Baltic, Black and Adriatic Seas to protect these former colonies of European empires from an irredentist Russia (and from Germany too). 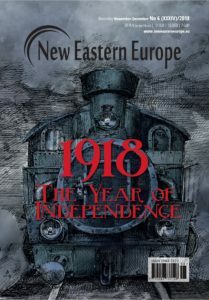 The Intermarium idea was briefly implemented via a security alliance between Poland’s Second Republic and the short-lived Ukrainian People’s Republic in 1920 when their leaders Józef Piłsudski and Symon Petliura concluded a defence pact against the Red Army. This and similar episodes of 20th century Ukrainian-Polish history should be more focused upon by Warsaw and Kyiv. One hopes that Polish and Ukrainian politicians, diplomats and intellectuals will be able to see the bigger picture in these stormy times and not miss their chance to help Ukraine pass through the current extremely complicated phase of its state-building. 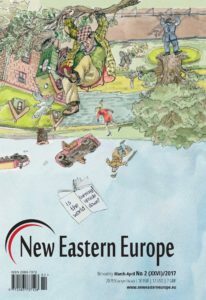 Andreas Umland is a board member of the German-Ukrainian project “Kyiv Dialogue” and Eichstaett Institute for Central and East European Studies (ZIMOS), as well as editor of the book series “Soviet and Post-Soviet Politics and Society” published by ibidem Press at Stuttgart and distributed by Columbia University Press at New York. 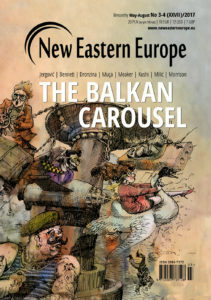 Yaroslav Hrytsak (Ukrainian Catholic University), Myroslav Shkandrij (University of Manitoba) and Per Anders Rudling (National University of Singapore) made useful comments on an earlier draft of this text. None of them can, however, be held responsible for remaining mistakes in the text.